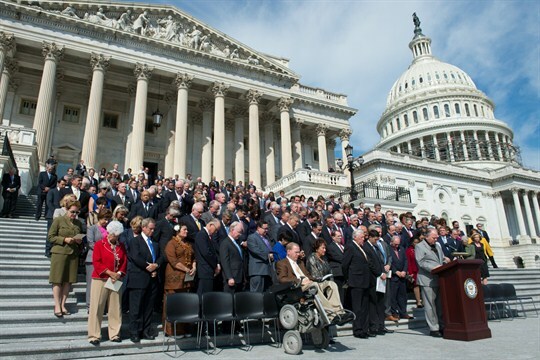 Members of the House of Representatives bow their heads in prayer during a ceremony on Capitol Hill in Washington marking the 15th anniversary of the Sept. 11 attacks, Sept. 9, 2016 (AP photo by Molly Riley). Last week, President Donald Trump announced that John Bolton was replacing U.S. Army Lt. Gen. H.R. McMaster as assistant to the president for national security affairs, otherwise known as the national security adviser. While Bolton is a longtime government official, having served every Republican president since Ronald Reagan, his appointment was immediately condemned across the political spectrum, given his well-documented views as a war hawk.